Every time gold and related metals perform positively, mining stocks receive their winning share. So far, most metal commodities are giving really good impressions and attracting more investors with every session. A good example of that is gold having its best time in years. As many other media big names, Investopedia is sure that significant benefits are coming to mining stocks, mainly because the day-to-day numbers in related commodities. While gold, silver, palladium, bronze and platinum are bullish, most mining companies are making good moves towards increased profitability. For both indicators, there is no sign of the trend changing in a negative way soon. If we follow the suggestions made by the solid Investopedia team, there are three main alternatives investors should pay more attention in terms of mining stocks. These are Newmont Mining Corp. (NEM), BHP Billiton Ltd. (BHP) and Rio Tinto Plc. (RIO). Let’s review the reasons why Investopedia is advising such a thing. One of the many things we know about Newmont Mining Corp. (NEM) is that its operations have a strong inclination towards gold. Beyond that fact, its influence and economic power within the mining sector allow this company to also profit from other metals as well. The NEM share closed today at US$44.29. The growth has been consistent and practically non-stop since last January. An indicator to see closely. Next in our list, we have BHP Billiton Ltd. (BHP). This mining company is even bigger than Newmont Mining, which it’s pretty impressive if we check the numbers in detail. This is a slightly riskier bet, we dare to say. They are now facing serious legal issues due the dam incident that they suffered in Brazil last year. This event caused the death of several people and incalculable damages to the environment were also made. While the Brazilian government is filling a billionaire suitcase against the company, the market behaves like nothing is actually happening. Despite this major event, shareholders continue to be really confident. During today’s trading session, BHP closed at US$31.50, exactly 0.96 percent up, maintaining the growing trend. Finally, Rio Tinto Plc. (RIO) seems like an excellent bet, safer and more consistent. This share is moving forward against the odds and predictions are extremely good. The mining stock remained solid and stable for many months. The good performance of many commodities could raise Rio Tinto prices in the upcoming weeks. Today’s session closed at US$32.40, with a 2.11 percent increase. In the investing world, there is no such a thing like sure bet or quick profit, at least a planned one. But, if we compare the mining sector with other popular investment alternative and their actual performance, you could feel comfortable while putting your money in the former. A big benefit is that big mining stocks like the ones above do not rely on a single mineral to maintain their numbers positive. In the case silver and bronze go down, for example, you still have several other metals to profit from. Regarding this, we can suppose that the widely positive forecasts for metal commodities are going to have a similar impact on mining stocks as usual. In that case, investors can be relaxed on two flanks. Besides the alternatives Investopedia is giving us, we must mention the energy stocks, which are in a similar position. 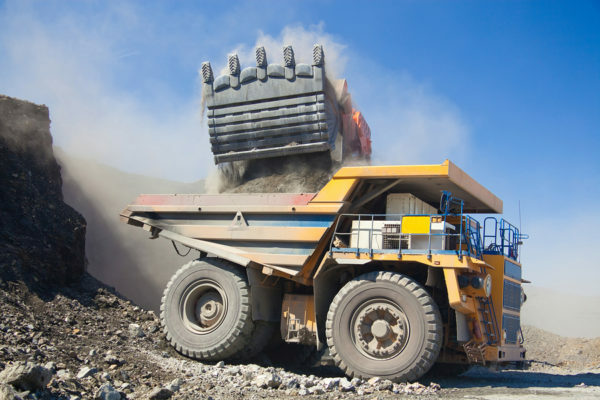 The sector shares a few characteristics of the mining one, so investors out there could give it a look as well. Adam Brodowski is an economics student from Kraków, Poland, currently studying in Australia.